The second half of 2018 conferred Singapore a spread of international fame in the form of high-profile events such as the Trump-Kim summit in June, as well as the premieres of movie Crazy Rich Asians and television series Masterchef Singapore. Encouraged by this international exposure, business events players here are ramping up their promotions and products, with the Singapore Tourism Board (STB) working to woo large conventions and meetings. The board is intensifying its partnerships with business events stakeholders, such as industry associations, to promote Singapore “as a hub for their flagship industry events”, explained Lim. Recently concluded events include the ACTE Global Summit and SACEOS’ Singapore MICE Forum 2018, which drew record attendance numbers. Singapore will also host the ASAE Association Leadership Forum Asia Pacific this month. Next up, the city state will host Rotary International Convention 2024, which is set to be the largest association convention to be hosted here, with more than 25,000 Rotary members from around the world expected to attend. Chew added that Singapore also enjoys strong “regional support” in terms of having a good reputation among its neighbours, who spoke highly of the country’s safety and efficient immigration at the meeting. Held in Sentosa, the Summit has also given the island a new burst of fame that the Sentosa Development Corporation (SDC) is riding on. Lynette Ang, chief marketing officer, SDC, shared: “Building on the opportunities that were brought about by the recent DPRK-USA Singapore Summit, we are now marketing our capabilities as a MICE destination to engage and discuss with destination management companies, professional conference organisers, and even directly with corporates. 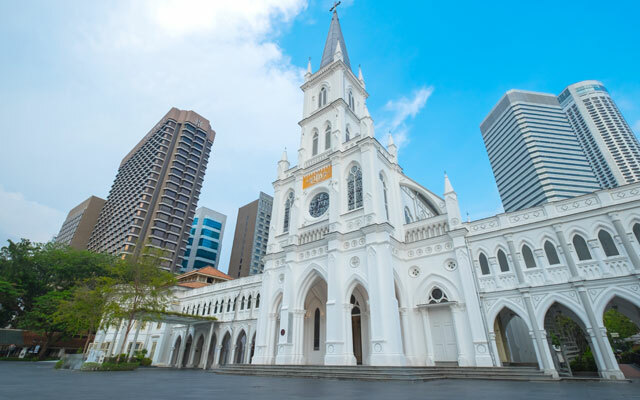 Equally important, Singapore’s reputation as a fun and attractive destination was preened by the premiere of the Crazy Rich Asians movie and the Masterchef Singapore TV show, which have contributed to a host of tour agencies launching itineraries that bring Crazy Rich Asian experiences to reality. These include Indus Travel’s 12-day Crazy Rich Singapore Culture & Thailand Beaches, which spends four days touring the city’s historic sights, traditional cuisine and natural wonders; as well as Wok ‘n’ Stroll’s Crazy Rich Asians – Behind the Scenes Food Tour, that treats its participants to food mentioned in the novel and movie at venues like Newton Hawker Centre and Joo Chiat; as well as more upscale venues like Bib Gourmand restaurant New Ubin Seafood at CHIJMES, and LeVeL33 Craft-Brewery Restaurant & Lounge. “When business travellers come to Singapore, they have about three hours (of free time) before their conferences for the whole day. We wanted to give the audience the experience of being a crazy-rich Asian for one evening,” explained Wok ‘n’ Stroll founder and CEO Karni Tomer. The tour began its first run in August, when it had already garnered bookings for this month, revealed Tomer. She added that the tour – which can accommodate up to 10 pax – is “very suitable for corporate groups”. The agency will market the tour through STB.